When a hospital operates more cohesively, its patients and customers always benefit. 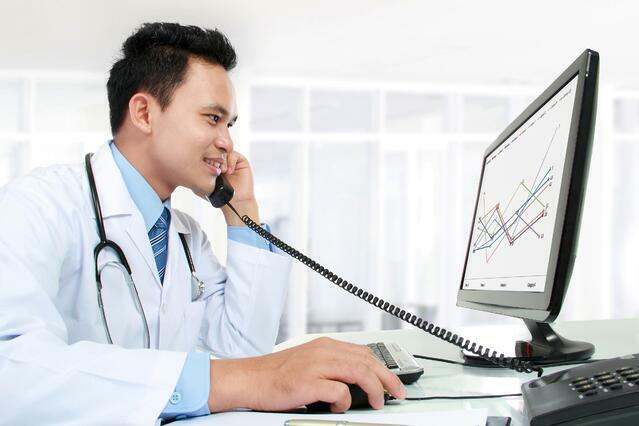 One way to enhance the seamless operation of one’s hospital is by using a hospital Intranet. An effective hospital Intranet is a state of the art tool that combines resources into one centralized location. This makes it simpler and more efficient for employees to complete their tasks which ultimately improves the efficiency of your organization. Instead of spending more time on mundane, repeat tasks, the implementation of a hospital Intranet frees up time to interact with patients and visitors. There are many features and benefits that your employees can take advantage of when it comes to time management using your hospital Intranet. In addition, employees have a better mood and temperament when they have a way to communicate and perform their tasks more easily and efficiently. This stands to improve the customer experience and improve the way the hospital is perceived overall. By utilizing this advanced technological tool, your hospital will be more integrated and organized which frees up time for employees to better serve the needs of patients and customers. Easy, online content editing and publishing – Save time by publishing and editing content from one centralized location. Employees avoid time drains of having to use multiple software and applications to accomplish one specific task. Now they can easily manage departmental communications from one portal. Mobile Intranet – Employees have the capability to access important documents from any location even out of the office. This makes it easier to find and update forms as needed without wasting time searching through multiple emails or folders. Document automation and repository – All documents can be uploaded to the document repository which saves time searching for important documents in different locations. Remote work staff can login into the Intranet to access vital documents from afar. Seamlessly manage document uploading, signing, and emailing all in one place to save time on performing these tasks separately. Smart Search Engine – The integrated search engine makes it possible to easily find the information you need all in one place. Advanced searching criteria can help you locate vendors, physicians, staff, important policies and procedures and announcements. No more searching endlessly for various files, enter a simple keyword and the Smart search engine will bring up all of the information you need in seconds. On-Call Scheduling Management – Avoid lengthy schedule arrangements and instead manage the schedule directly from the Intranet. Easily change staff schedules in real-time. These time-saving features make it easier for employees to get their tasks done more efficiently so they can focus on what the patients’ needs. By enhancing the functional side of a healthcare organization, your teams will realize an increase in positive customer experiences over time. These are just a few simple hospital intranet resources that will lead to major time cost savings and will ultimately translate into more time spent engaging patients. Ultimately your customers and patients will begin to experience more attention as well as having a more positive overall experience when interacting with employees.